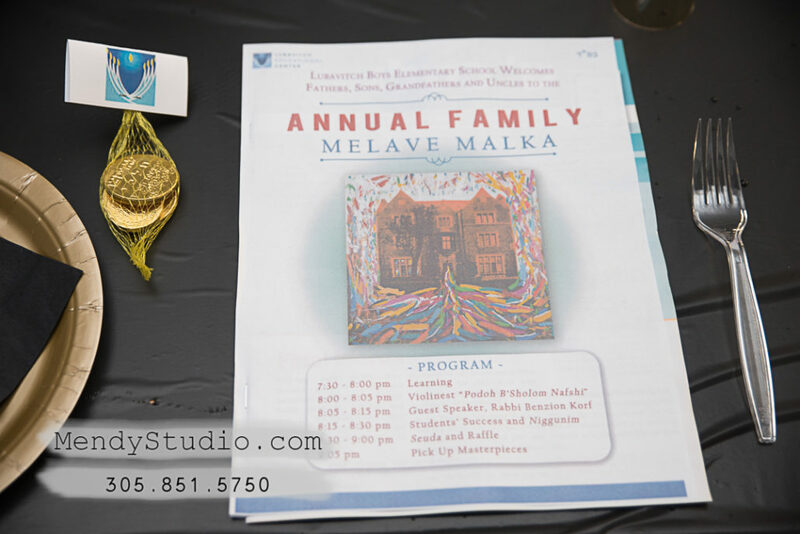 A large team of Lubavitch Educational Center’s staff and volunteers pulled off what was surely one of Florida’s largest Melava Malkas. 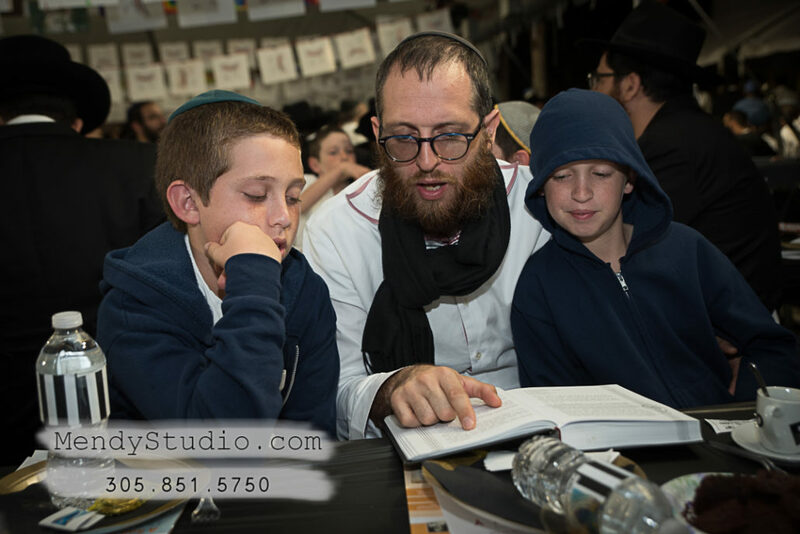 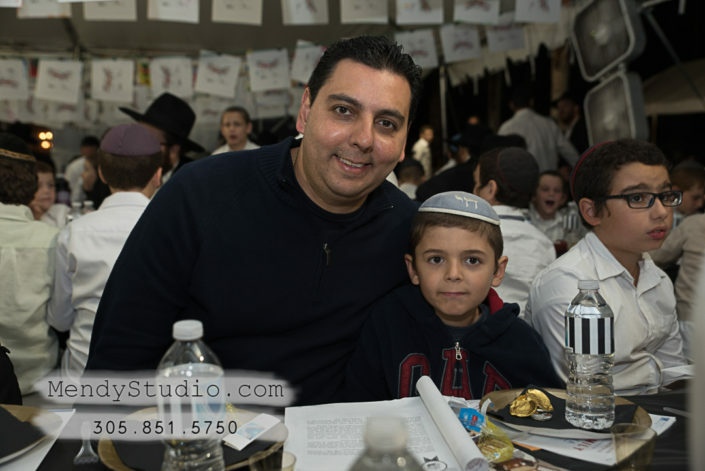 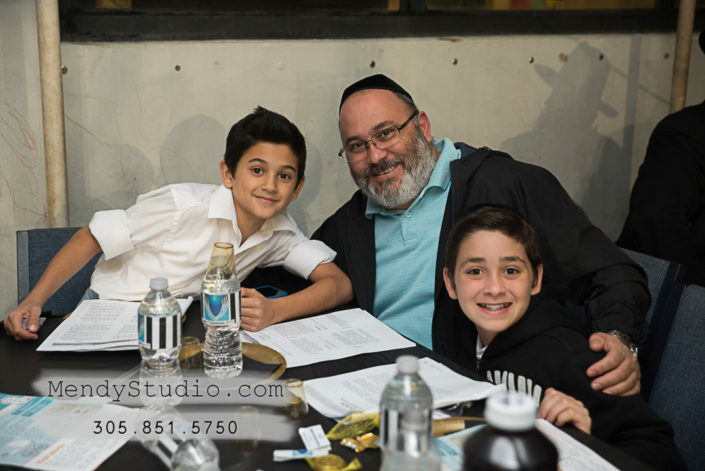 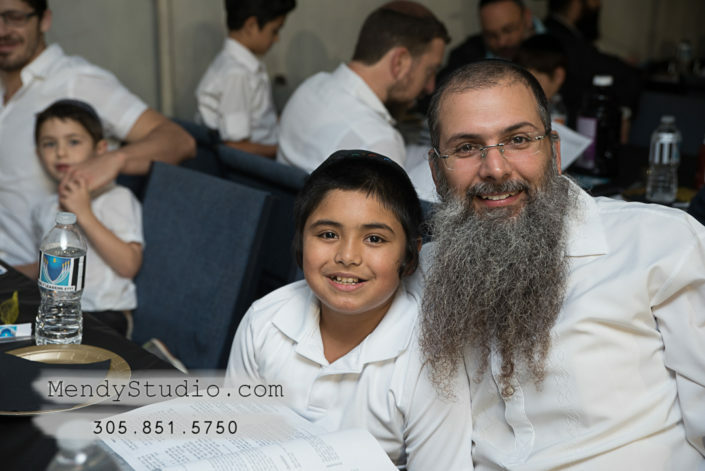 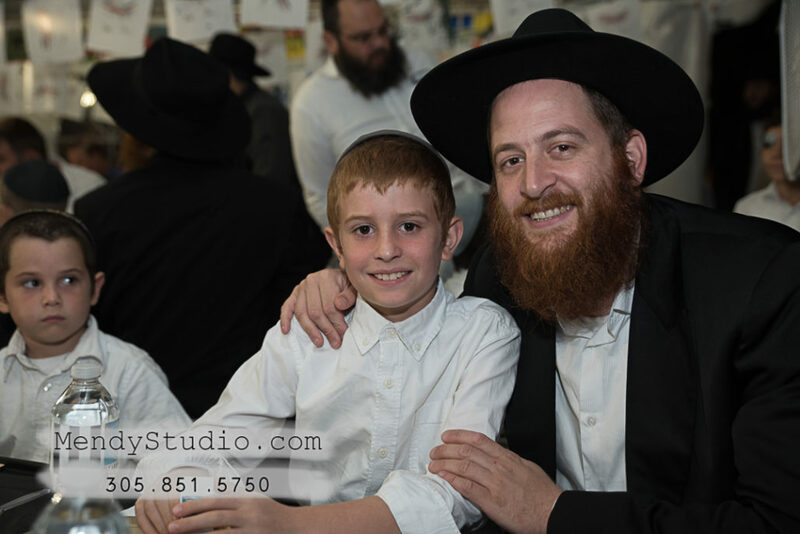 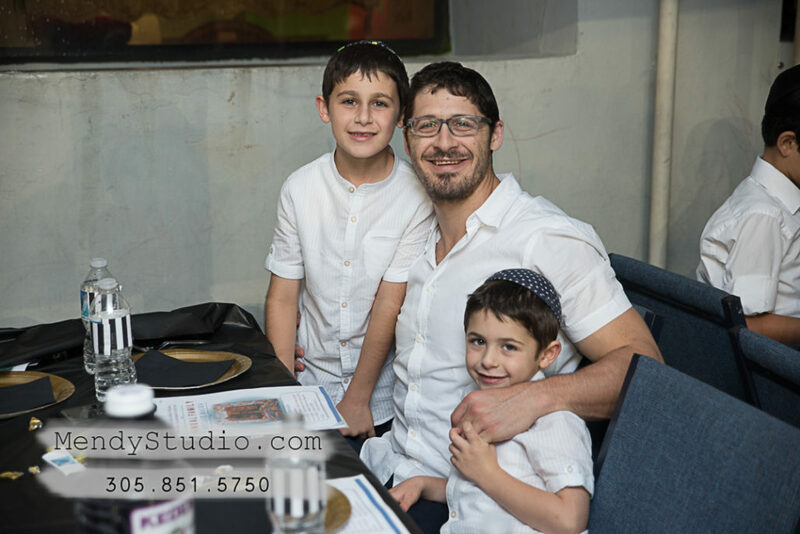 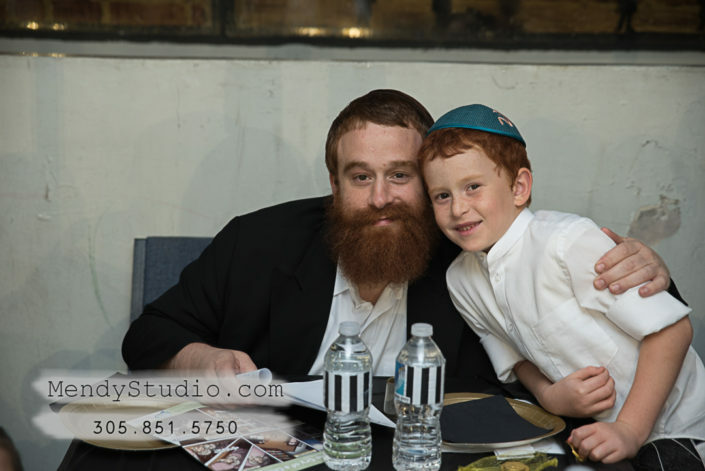 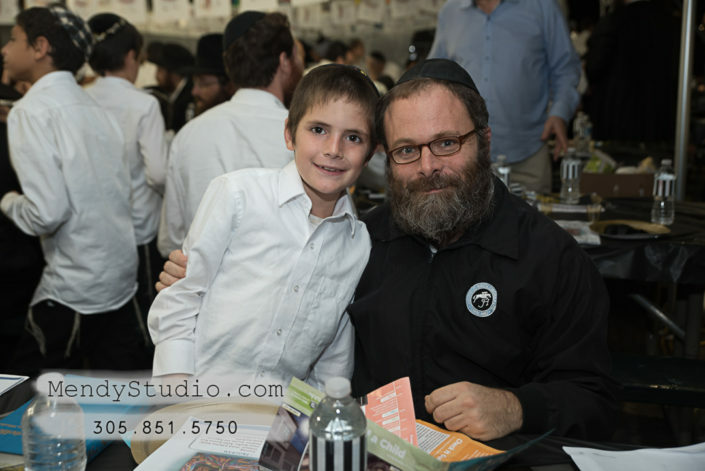 During the week prior to the event each of the 16 elementary school boys’ class was visited by famed pop artist Yitzchok Moully, who spoke with students about using their own unique talents and abilities to serve Hashem. 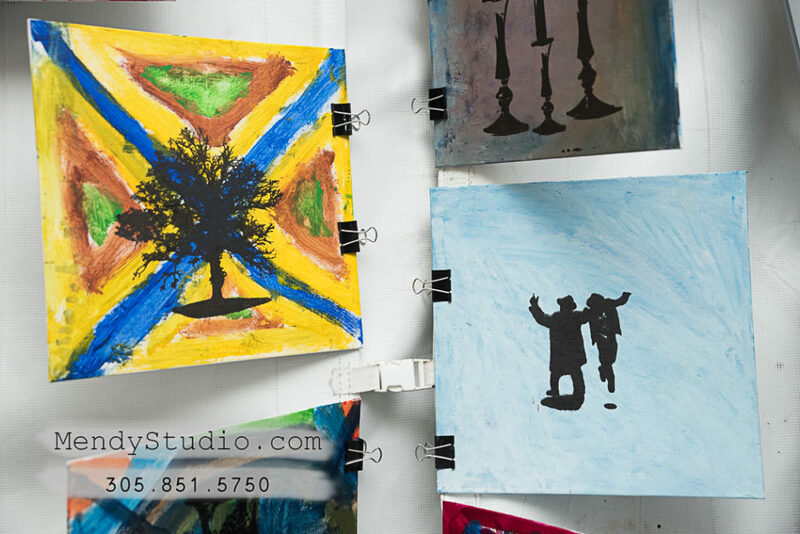 In that spirit the students painted canvases, which was followed by a silk screen workshop on the next day. 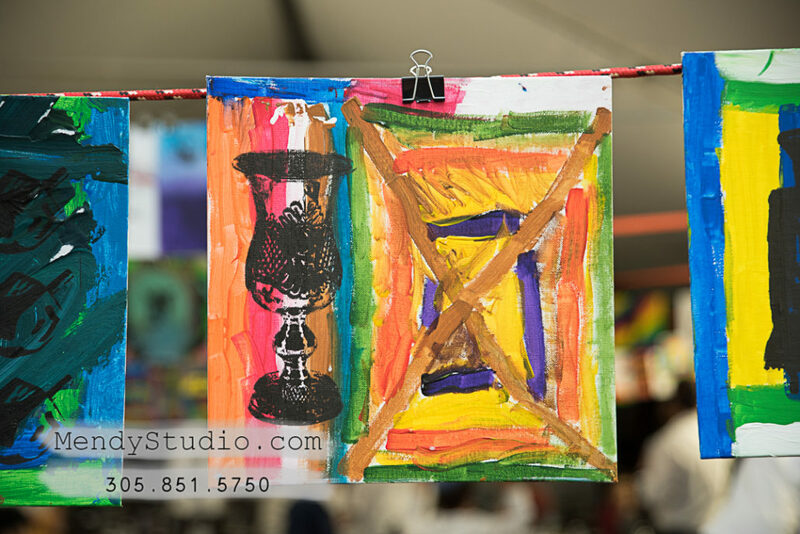 The results were remarkable works of art that expressed purpose and meaning. 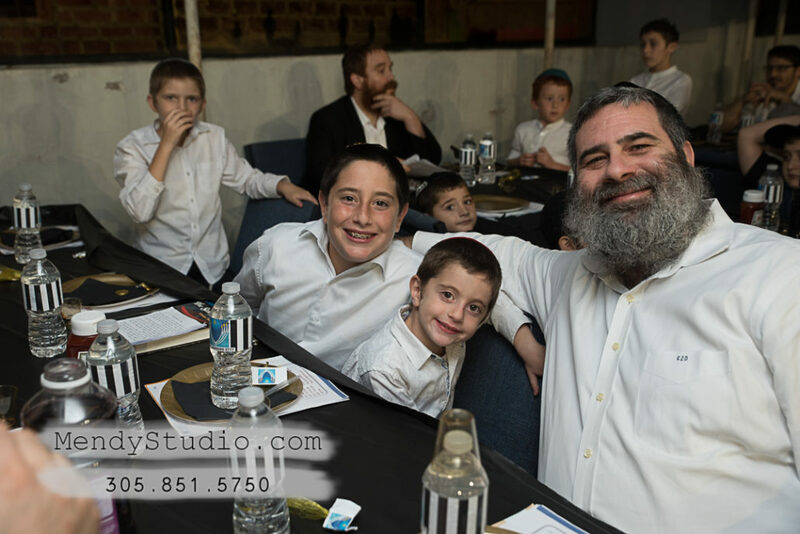 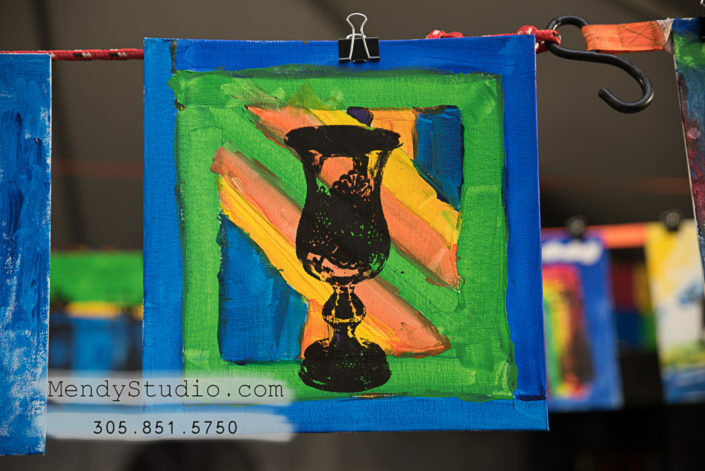 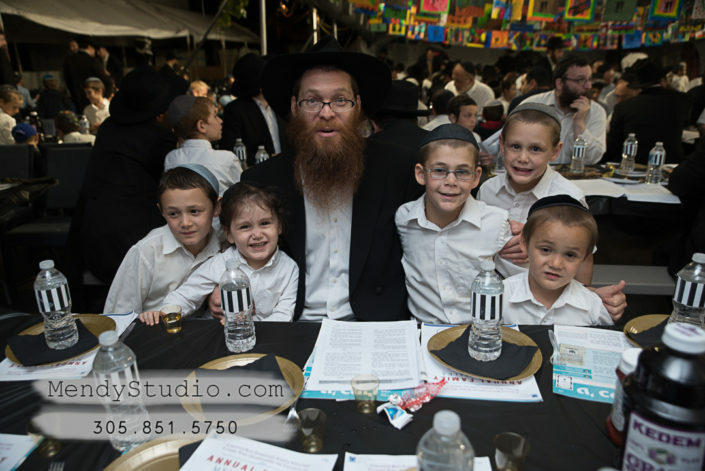 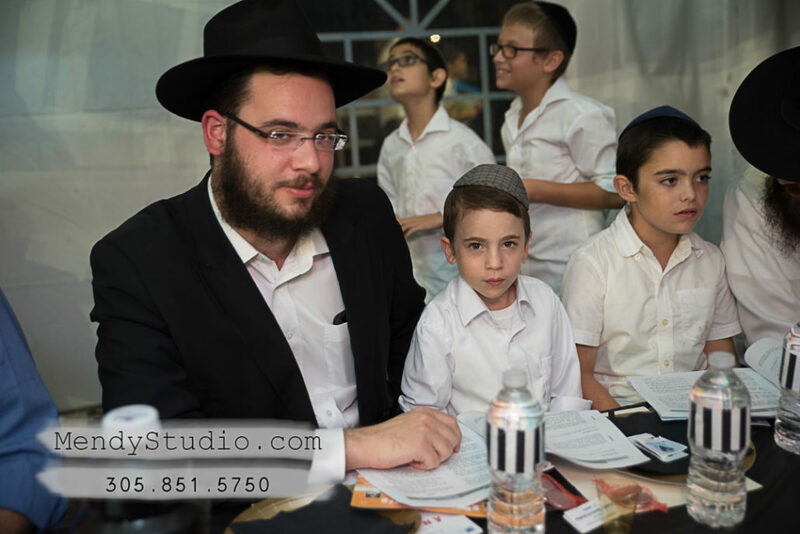 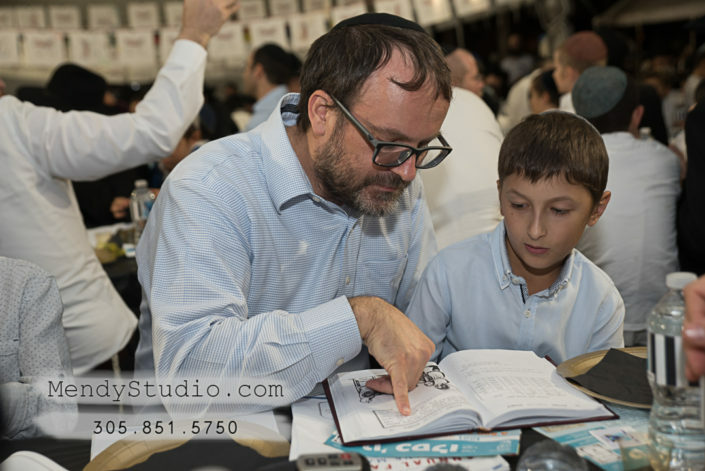 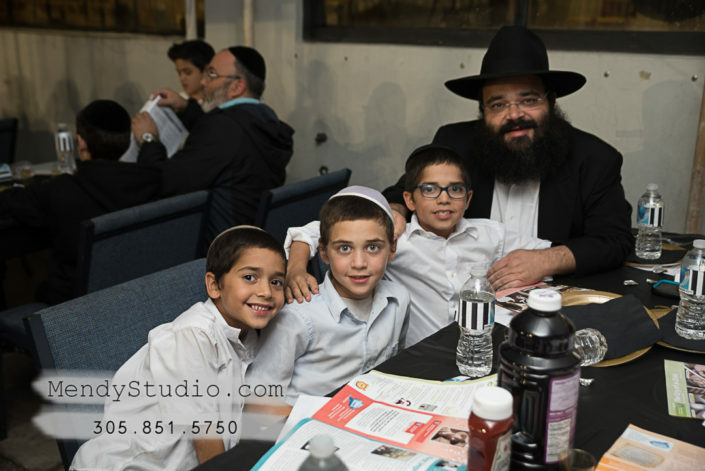 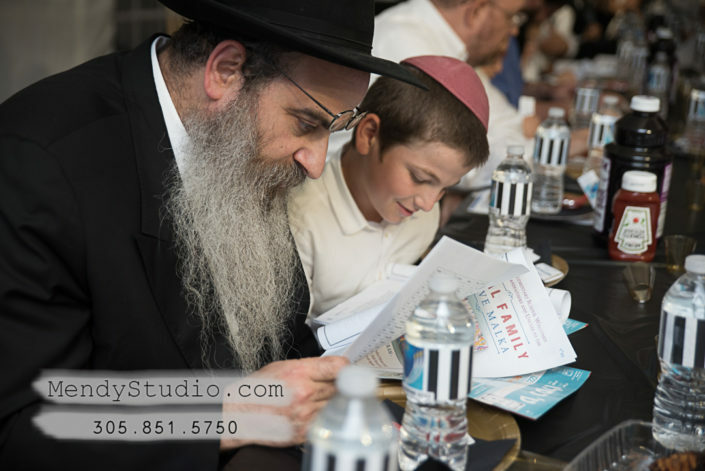 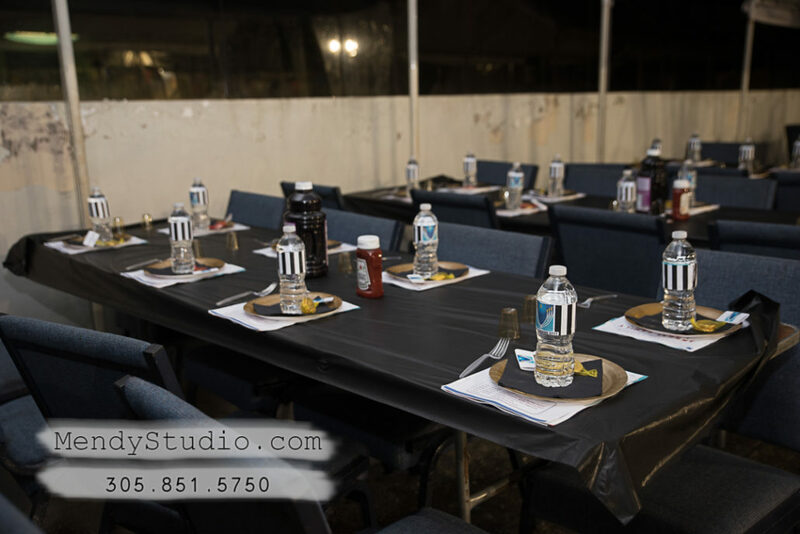 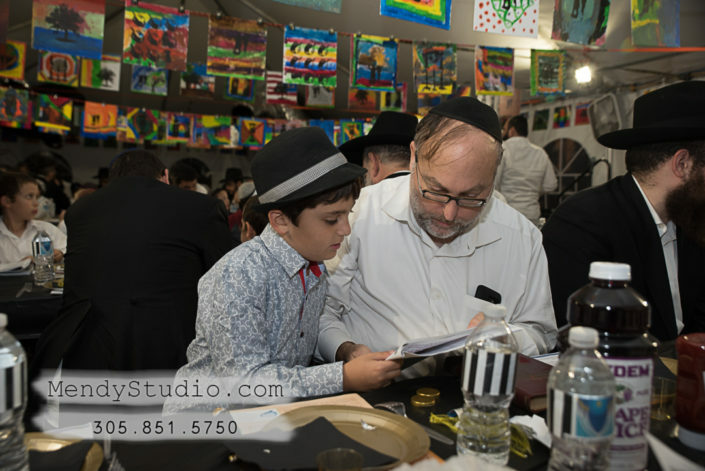 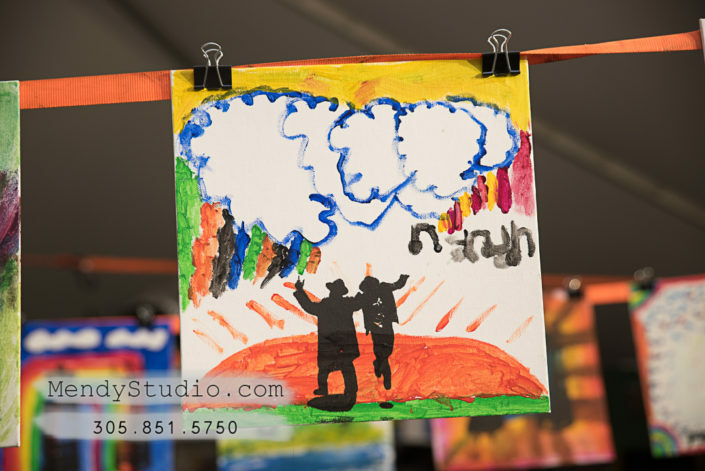 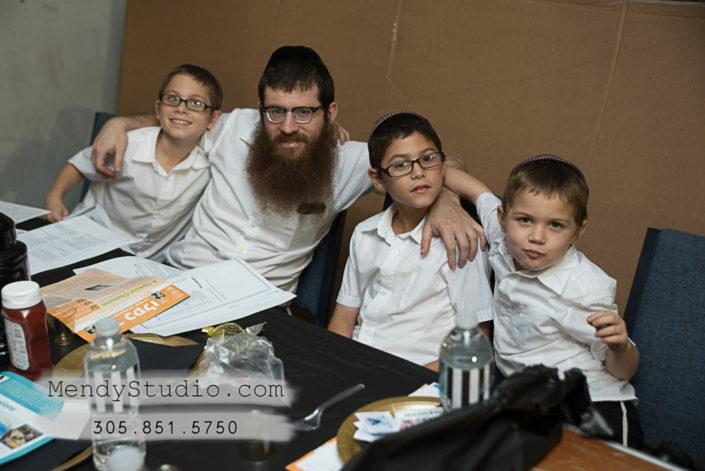 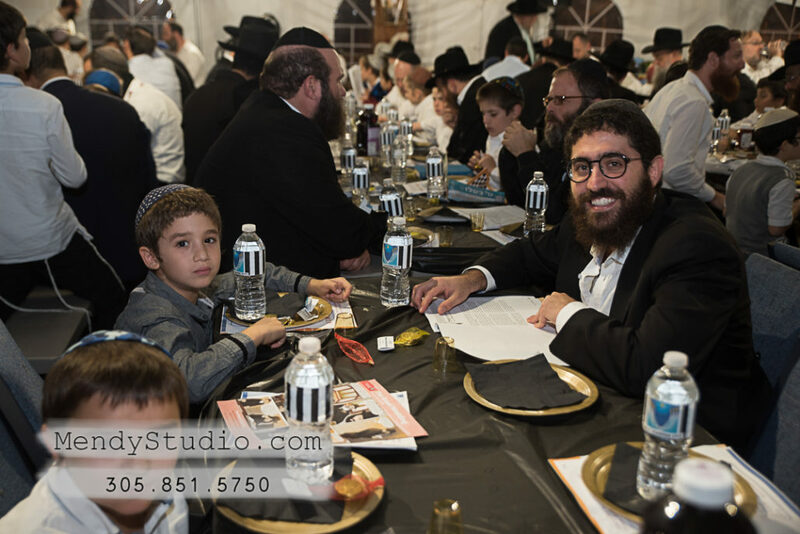 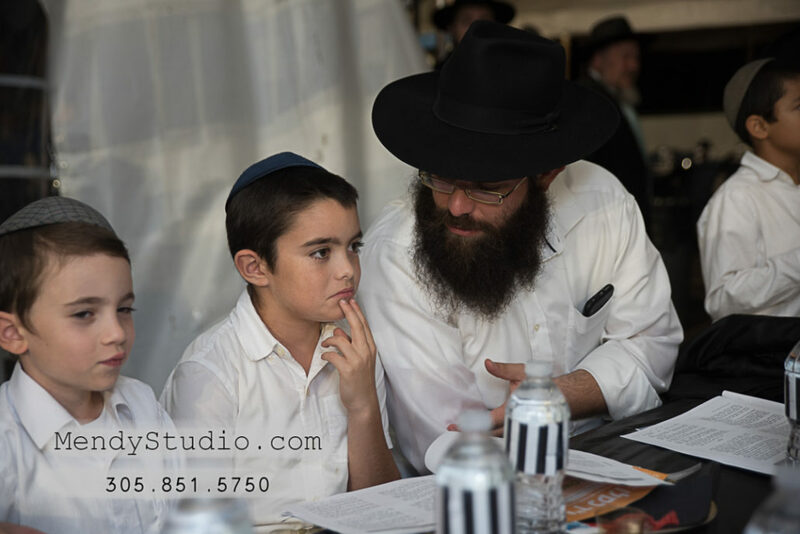 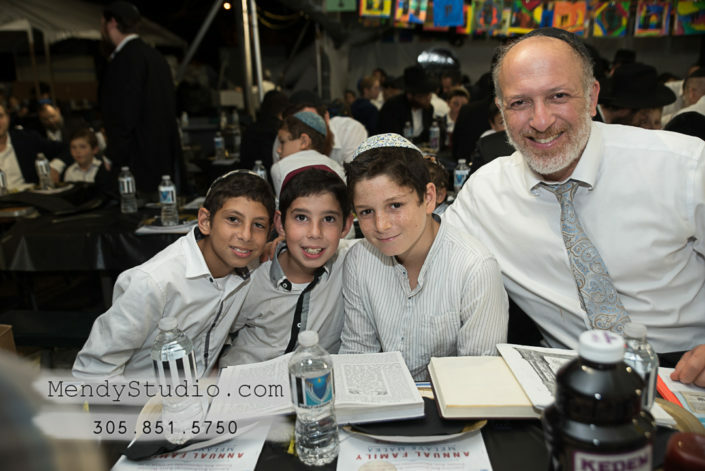 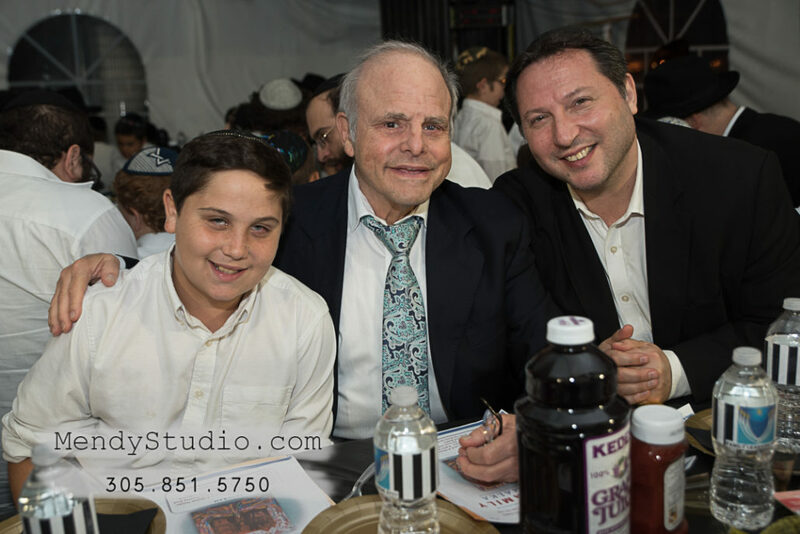 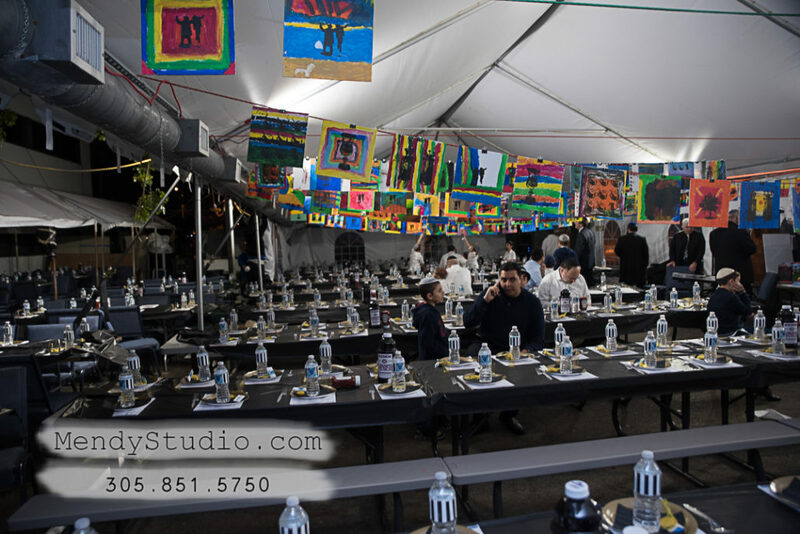 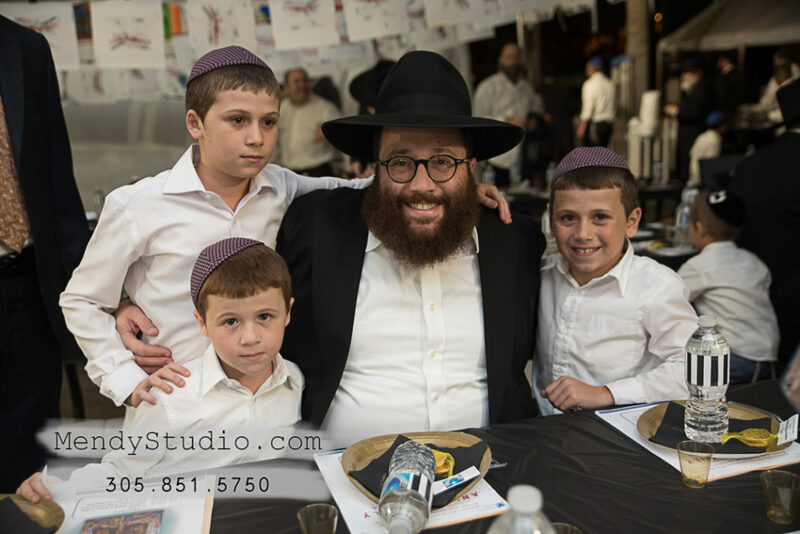 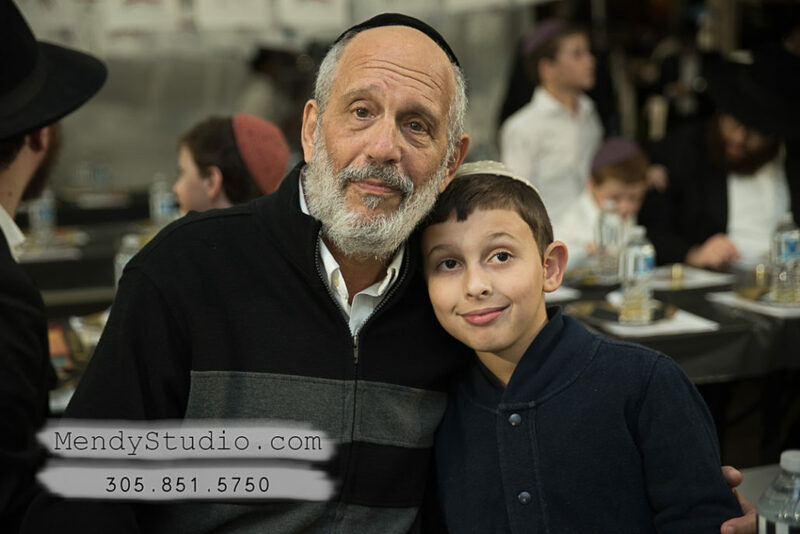 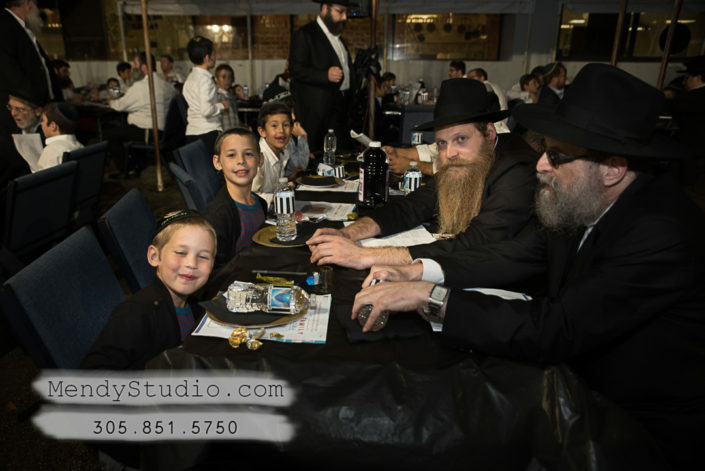 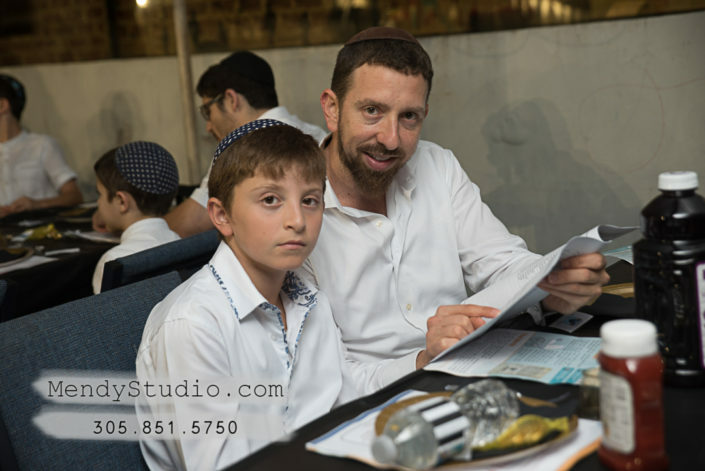 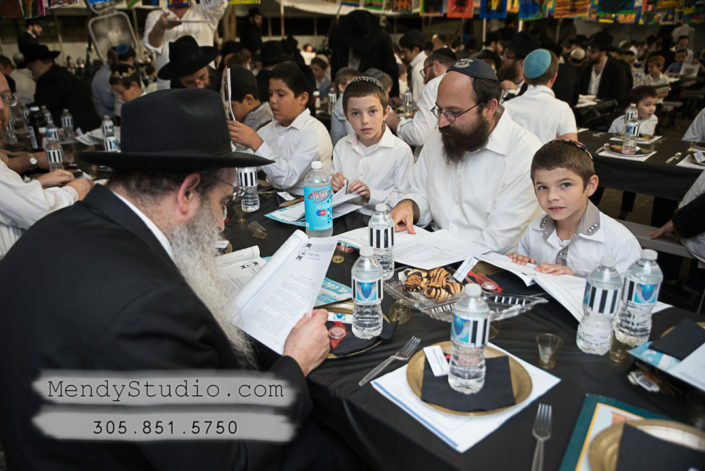 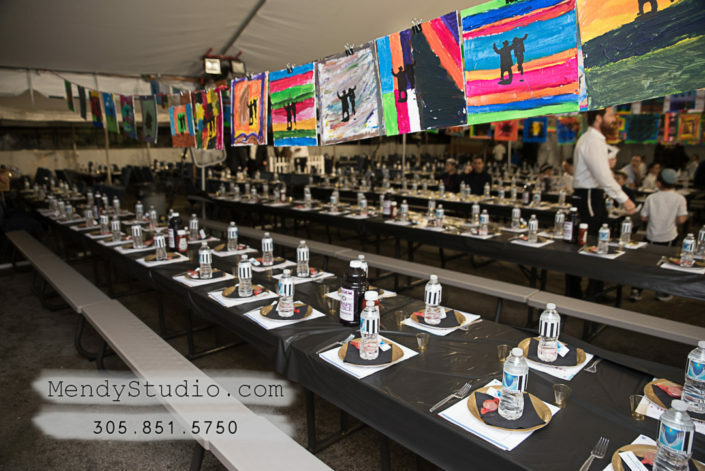 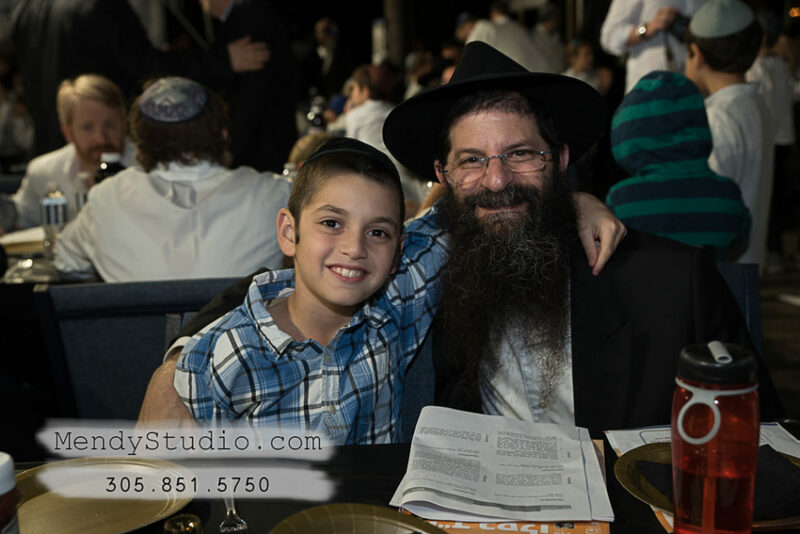 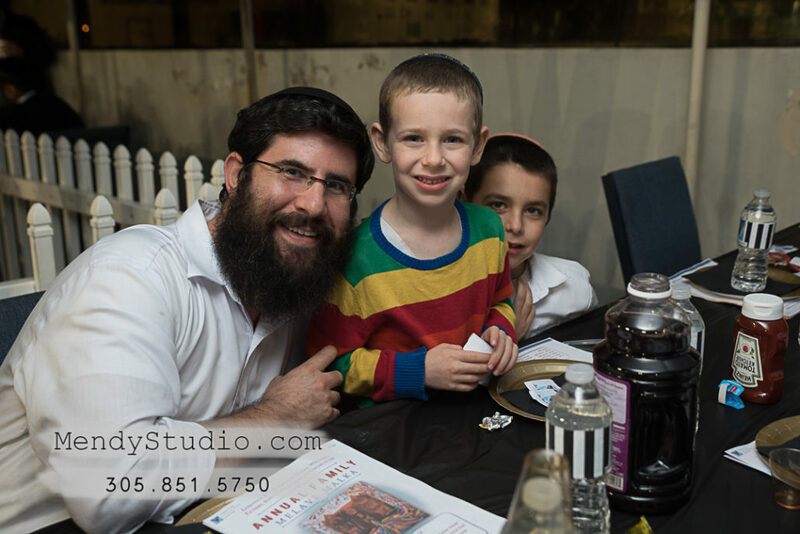 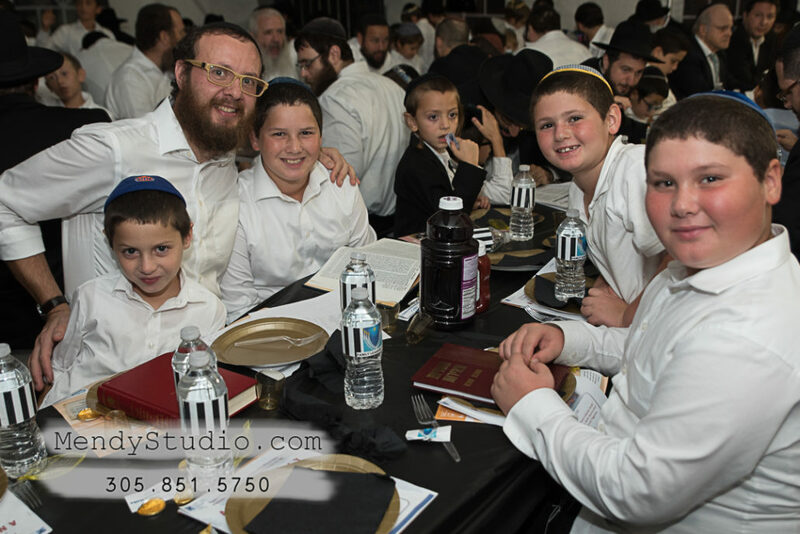 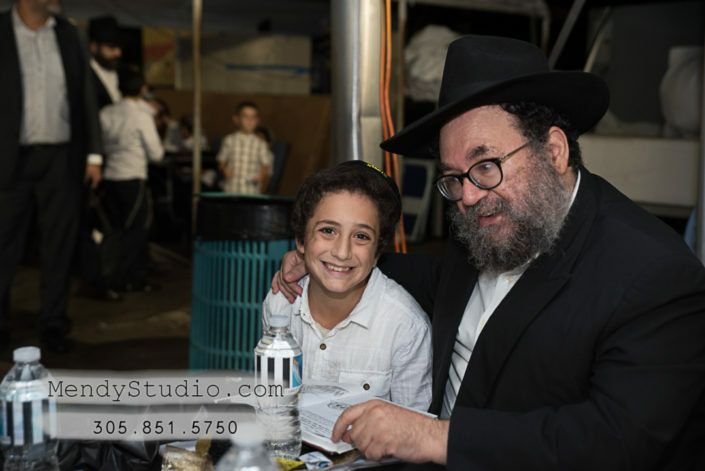 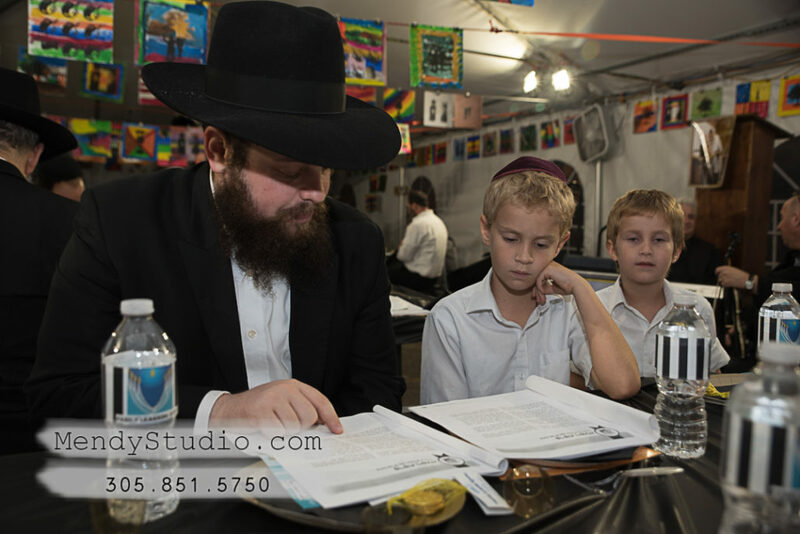 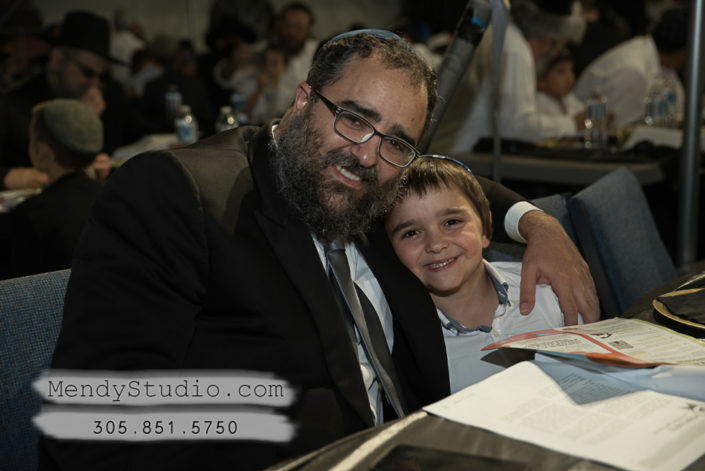 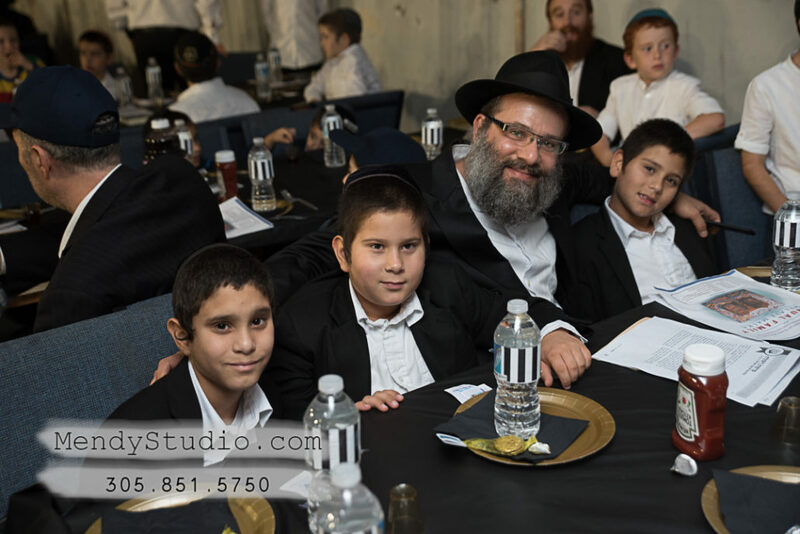 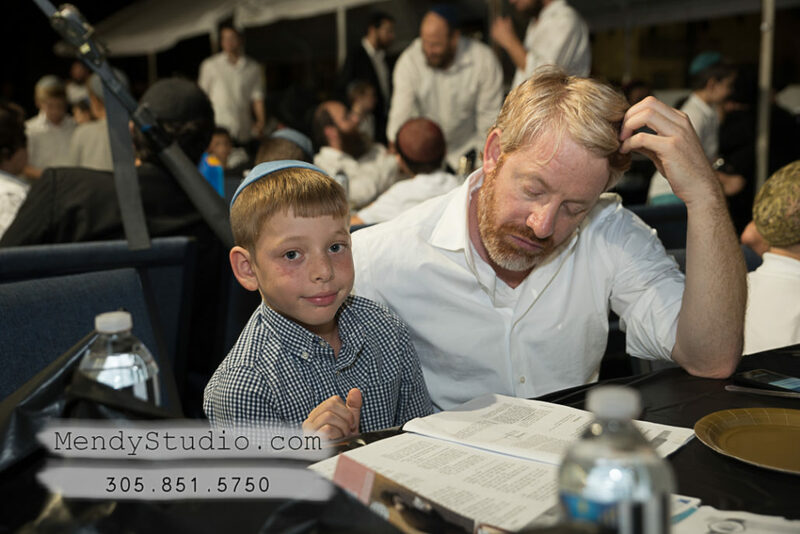 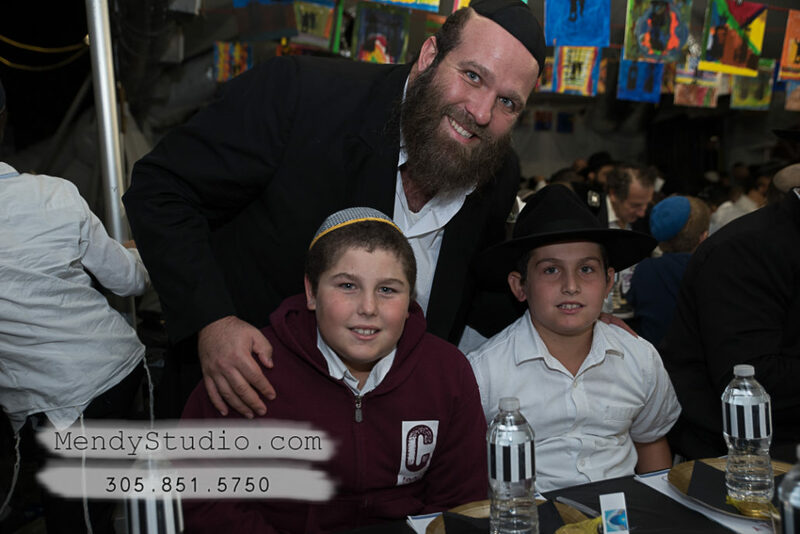 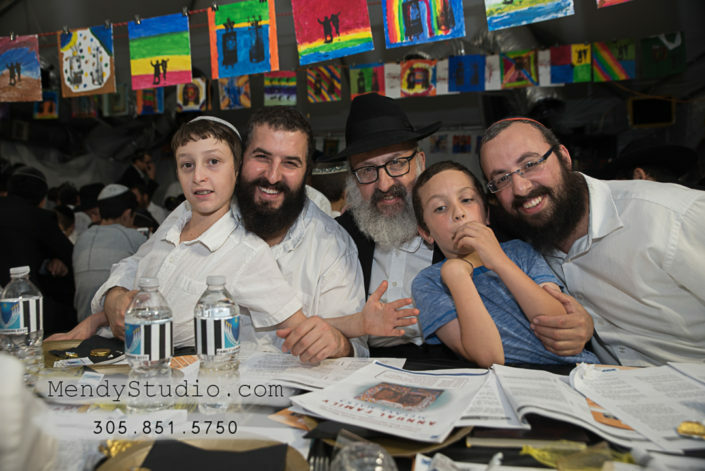 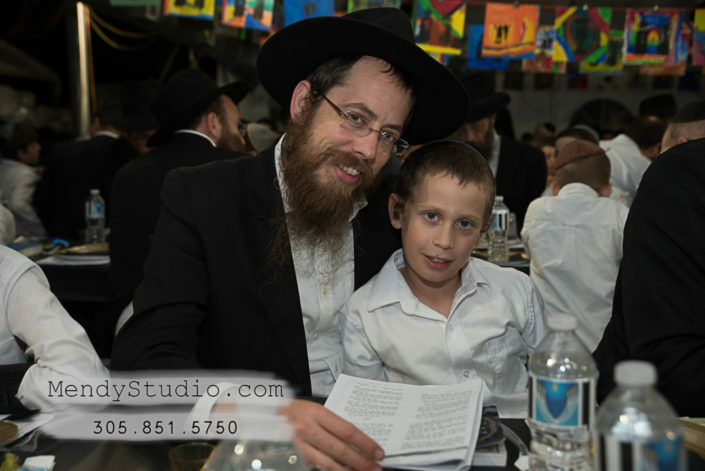 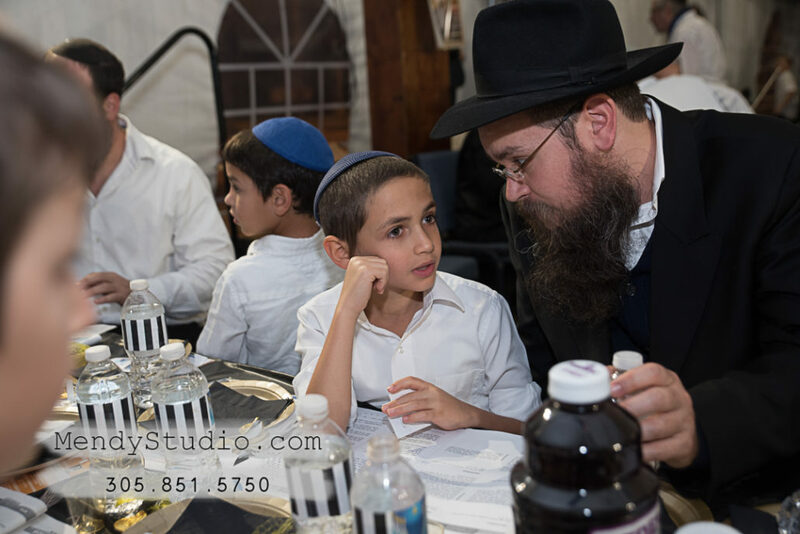 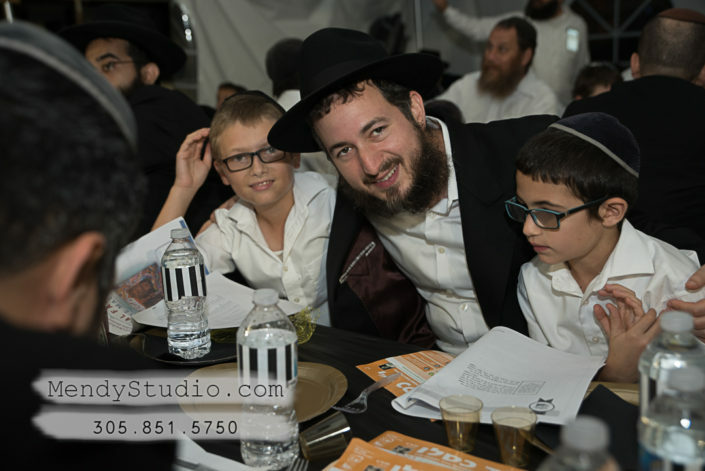 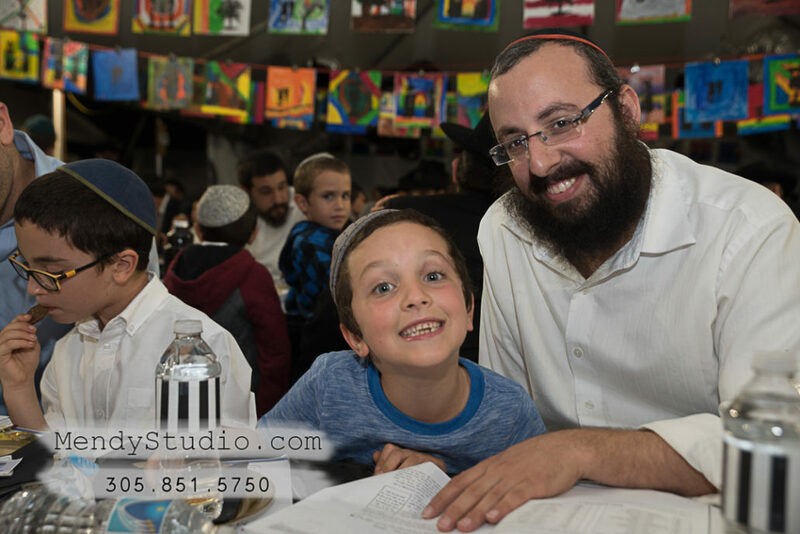 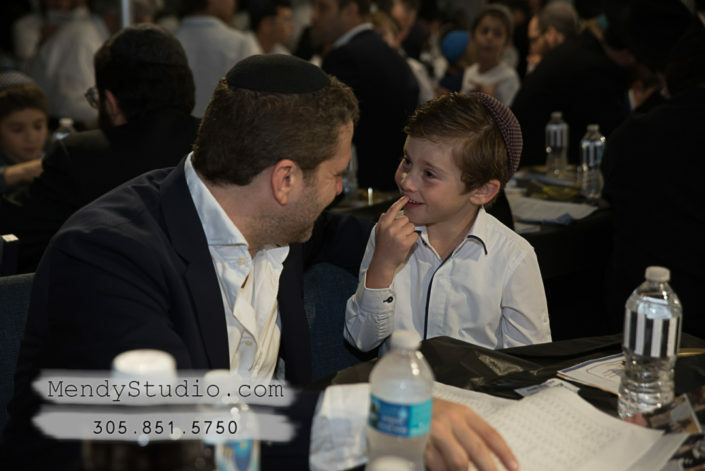 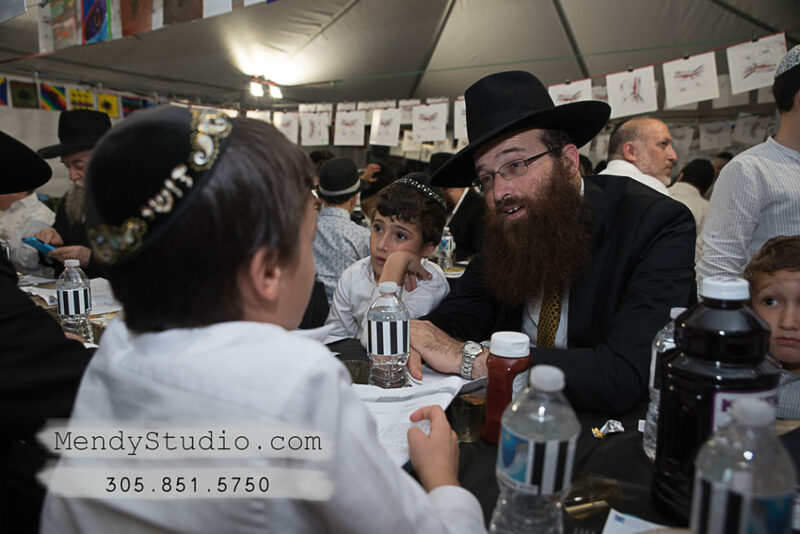 As the guests arrived on Motzai Shabbos, they were ushered into an enormous tent that was beautifully decorated—both inside and out—with the student-made canvases. 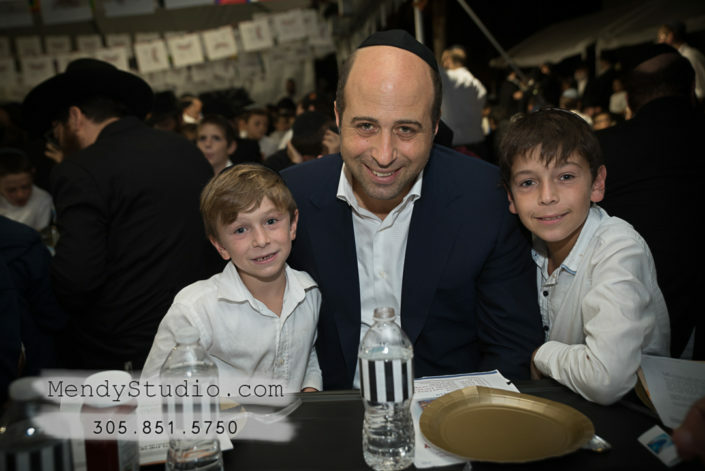 It was an inspiring welcome for the near 750 attendees. The event, which was for students, fathers and zaidies, opened with Rabbi Benzion Korf, school headmaster, who welcomed the gathering and shared a moving story. 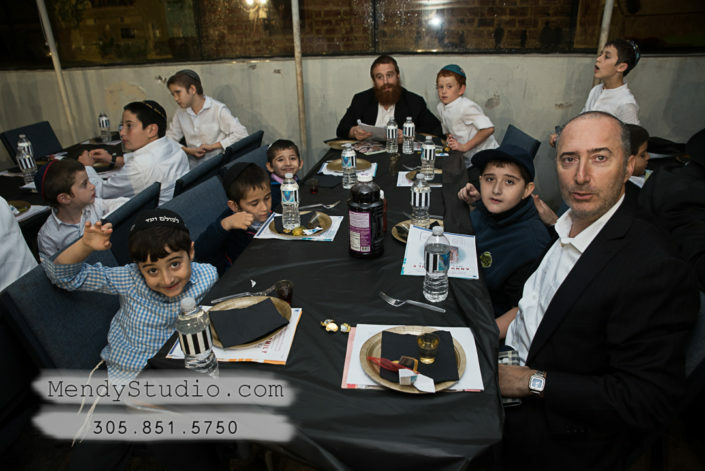 That was followed by seder niggunim with Chazan Rabbi Yossi Lebovic. 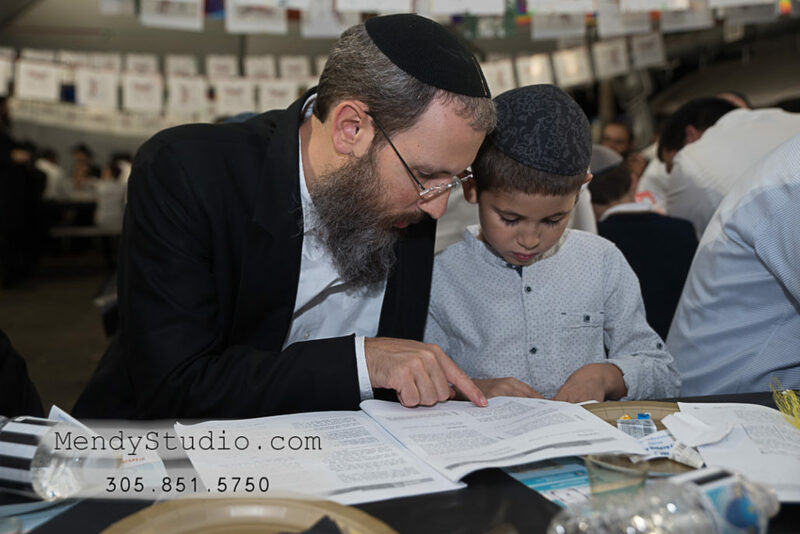 Groups of students were congratulated by Rabbi Yakov Garfinkel on their many academic and extra curricular achievements so far this year. 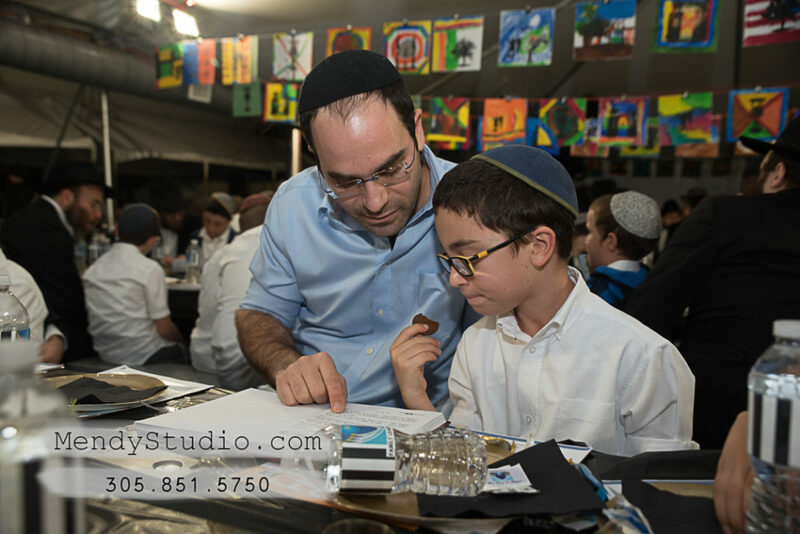 At the end of the evening people remained to view the students’ artwork, which were then given to each student to take home. 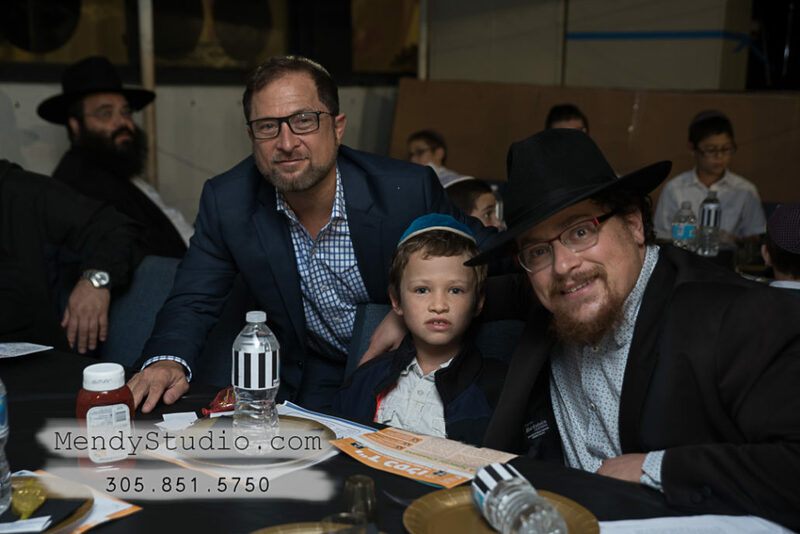 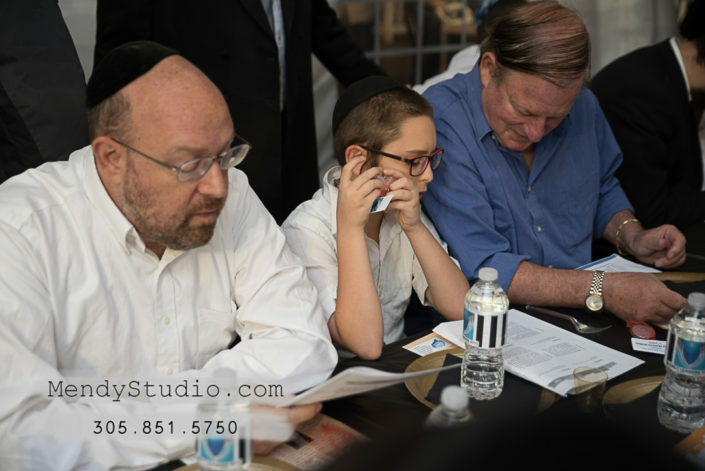 Much thanks and appreciation go to the principal of the boys elementary school, Mrs. Shevi Sossonko, for her tireless efforts in planning the event, and to Rabbi Yakov Garfinkel for organizing the entire program. 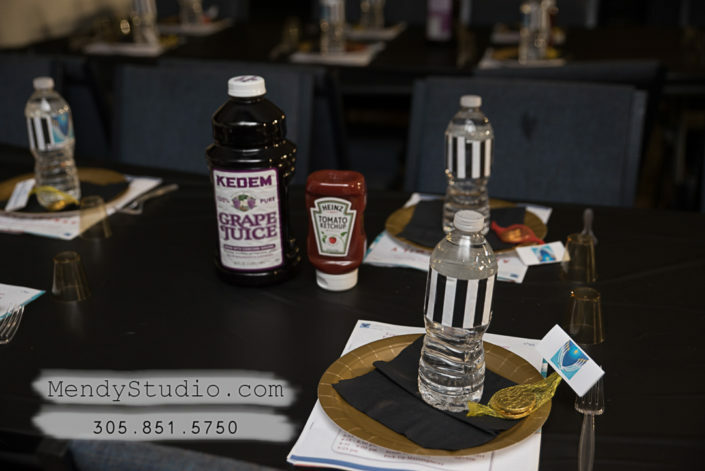 Much gratitude and appreciation go to Shayna Bortunk for going beyond the evening’s expectations, and to Chaya Mushka Amar, Mrs. Rochel Gordon, Menachem Mendel Korf, Shauly Snovsky, Chef Isaac, and the many parent volunteers who helped set up for the large event. 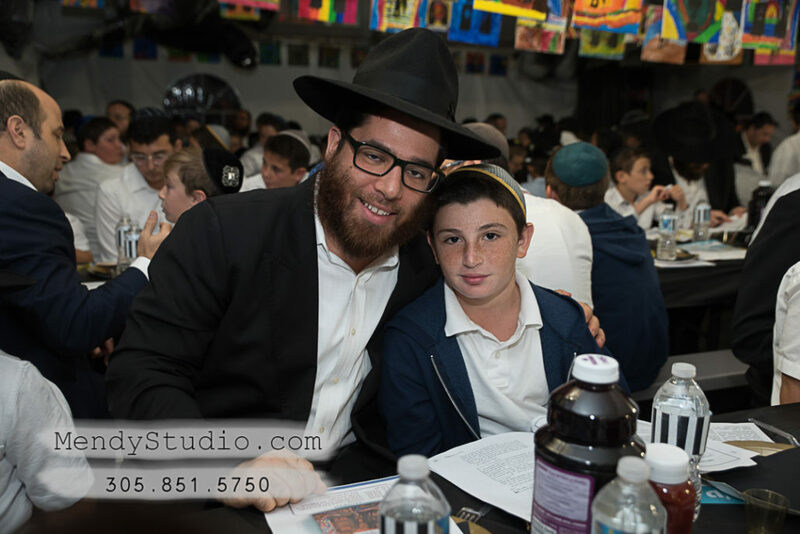 In a separate program LEC’s Beis Chana High School, led by Mrs. Sara Rosenfeld, and program Director Mrs. Chanie Schapiro, held an art day also with Yitzchok Moully. 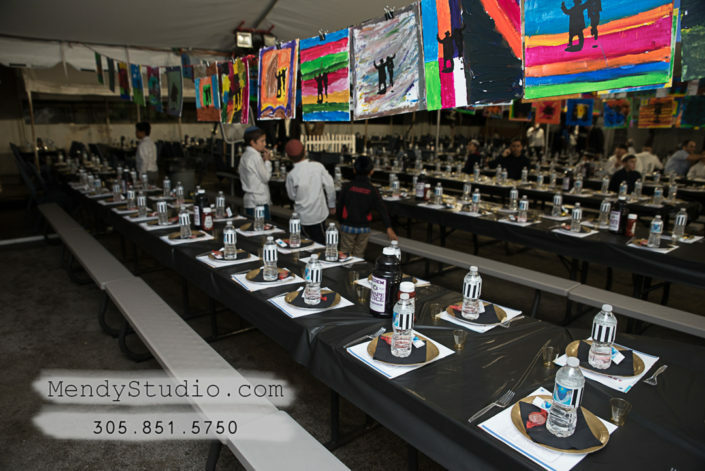 It was a remarkable experience for all the girls. 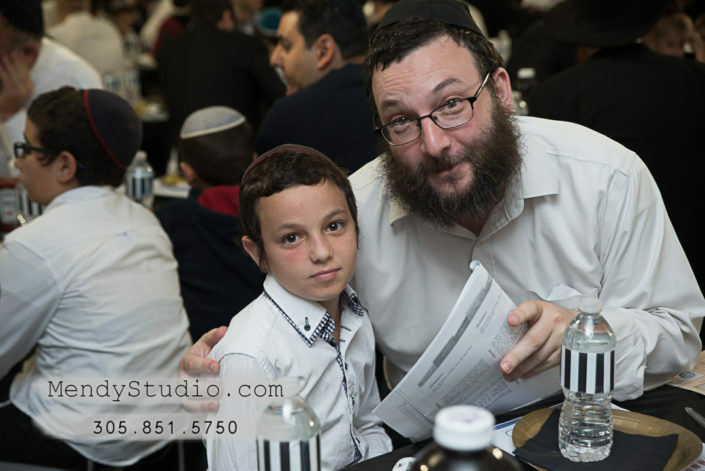 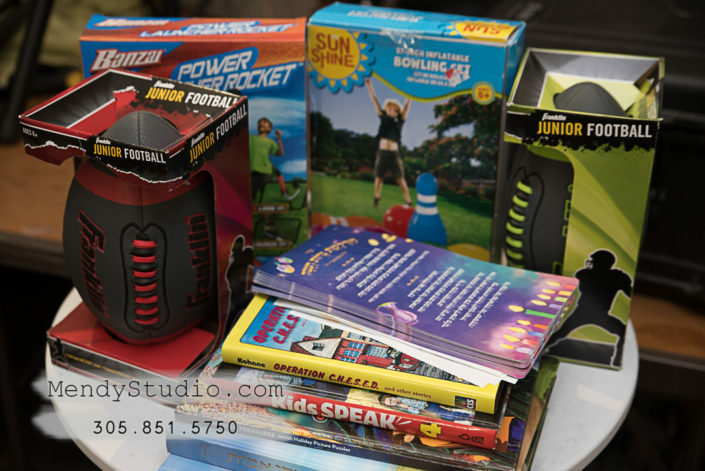 Special thanks go to Lubavitch Educational Center’s PTA for their generous financial support in all of these events.